U.S. 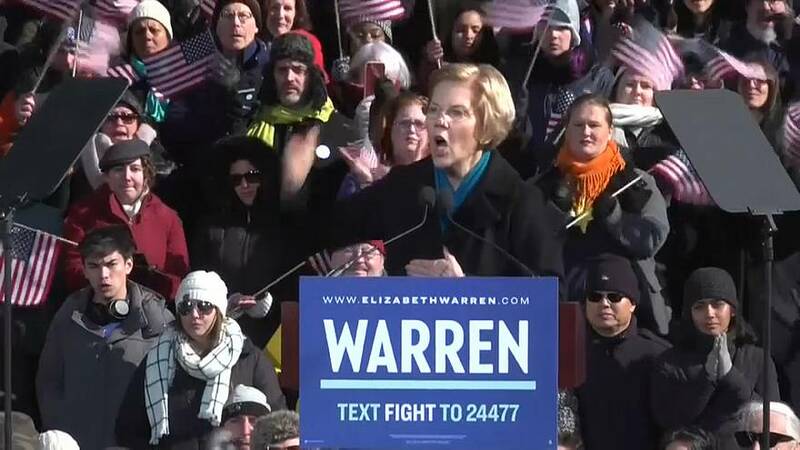 Senator Elizabeth Warren formally launched her 2020 presidential campaign on Saturday, saying that she is fighting for all Americans. The Massachusetts Democrat, a leader of the party's progressive wing, made her announcement from a historic site in Lawrence, northwest of Boston, that launched the first organized workers' movement in the US. Warren, 69, has made worker rights, fair wages and access to health care central to her campaign. But her controversial ethnic heritage claims have dogged her since her first campaign for the Senate in 2012, and President Donald Trump mockingly refers to her as "Pocahontas." Her ancestry drew fresh scrutiny earlier this week with the discovery that she described her race as American Indian on a form to join the Texas legal bar in the 1980s. Warren has repeatedly apologised, saying the claim was based on "family lore" and she now understands tribal sovereignty dictates membership.